A highly interesting article by Jetz and colleagues got just published in Nature Plants dealing with the importance of remotely sensed environmental monitoring for plant functional diversity. The world’s ecosystems are losing biodiversity fast. A satellite mission designed to track changes in plant functional diversity around the globe could deepen our understanding of the pace and consequences of this change, and how to manage it. 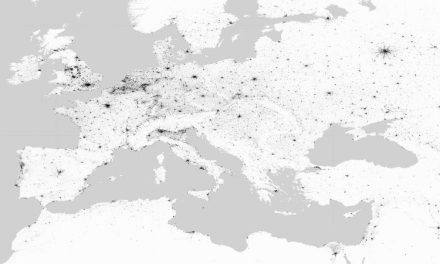 The ability to view Earth’s vegetation from space is a hallmark of the Space Age. Yet decades of satellite measurements have provided relatively little insight into the immense diversity of form and function in the plant kingdom over space and time. Humans are rapidly impacting biodiversity around the globe, leading to the loss of ecosystem function as well as the goods and services they provide. Recognizing the gravity of this threat, the international community has committed to urgent action to halt biodiversity loss. Ecosystem processes are often directly linked to the functional biodiversity of plants, that is, to a wide range of plant chemical, physiological and structural properties that are related to the uptake, use and allocation of resources. The functional biodiversity of plants varies in space and time and across scales of biological organization. Capturing and understanding this variation is vitally important for tracking the status and resilience of Earth’s ecosystems, and for predicting how our ecological life support systems will function in the future. 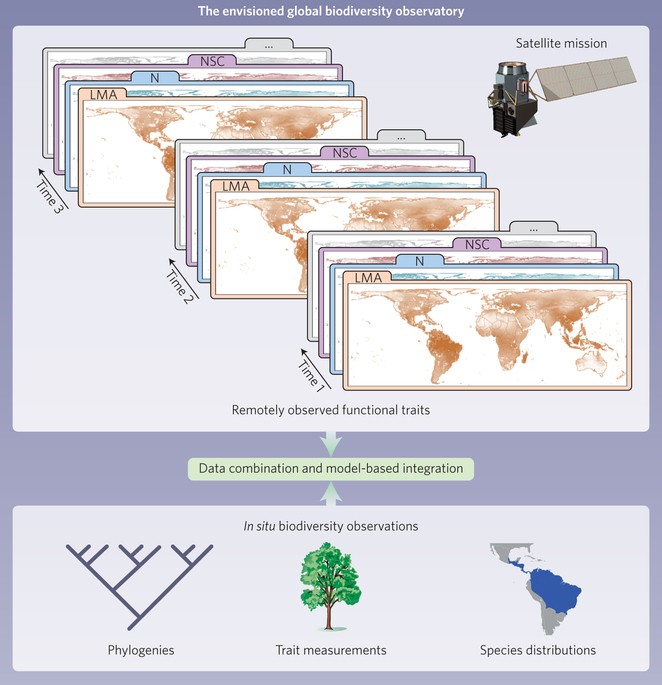 We currently lack consistent, repeated, high-resolution global-scale data on the functional biodiversity of the Earth’s vegetation. However, the technological tools, informatics infrastructure, theoretical basis and analytical capability now exist to produce this essential data. Here we suggest that this capability should be used in a satellite mission supporting a ‘global biodiversity observatory’ that tracks temporal changes in plant functional traits around the globe to fill critical knowledge gaps, aid in the assessment of global environmental change, and improve predictions of future change. The continuous, global coverage in space and time that such a mission would provide has the potential to transform basic and applied science on diversity and function, and to pave the way to a more mechanistically detailed representation of the terrestrial biosphere in Earth system models. 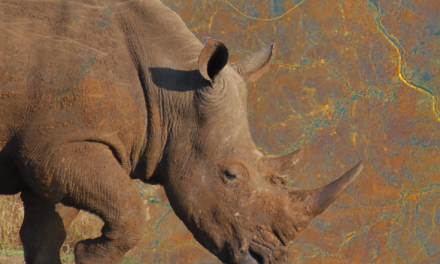 Previousagenda online of the conference: Space – the final Frontier for Biodiversity?